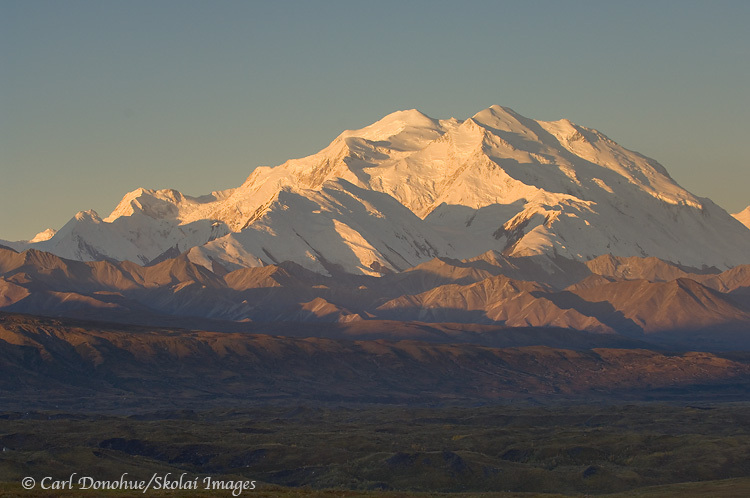 Sunrise on Mount McKinley, Denali National Park, Alaska. The peak, or summit of “Denali”, or Mt. McKinley, is over 20 000 feet above sea level, and this mountain is the highest mountain in North America. Denali National Park photos, Alaska. The Alaska Range is one of the impressive mountain ranges in the country, and Denali is the pinnacle of those mountains.